3-day Scottish Tour including 2 nights in 3-star double guesthouse accommodation - 1 room with 1 double bed; suitable for 2 people to share. 3-day Scottish Tour including 2 nights in 3-star twin guesthouse accommodation - 1 room with 2 single beds; suitable for 2 people in 1 bed each. 3-day Scottish Tour including 2 nights in 3-star twin hotel accommodation - 1 room with 2 single beds; suitable for 2 people in 1 bed each. A DIY tour of the Scottish Highlands and Isle of Skye may leave you focused on the planning and driving rather than the sights. 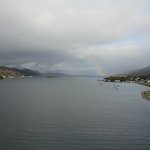 This 3-day tour from Edinburgh lets you concentrate on the scenery as you cross the Highlands to Skye. 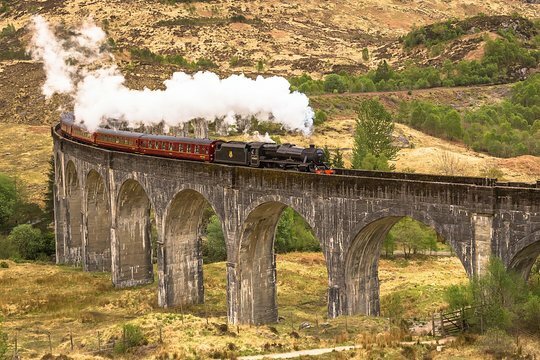 Visit Loch Ness, tour Skye, ride the steam train that doubled as “Hogwarts Express,” and more, all with guided commentary, transport, and B&B or hotel accommodations included. 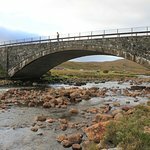 Take a trip through the stunning Scottish Highlands and to the Isle of Skye on this 3-day coach tour from Edinburgh. Traveling by comfortable midi-coach, journey through magnificent Highland scenery and stop en route to take in Loch Ness and explore Eilean Donan Castle. 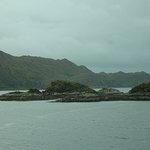 Then, venture to the romantic island of Skye to stay for two nights. 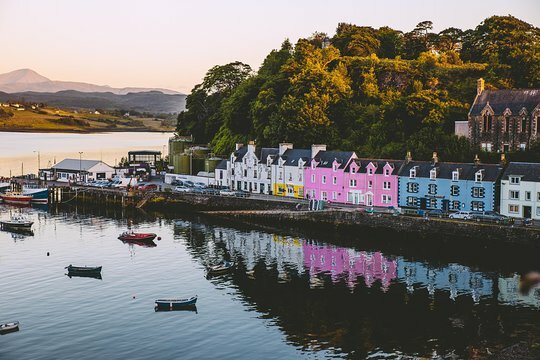 Admire its craggy Cuillin Mountains, Trotternish Ridge, and charming capital of Portree and then, on Day Three, take the ferry to Mallaig to ride the Jacobite steam train that served as “Hogwarts Express” in the Harry Potter movies to Fort William, before finishing in Edinburgh. 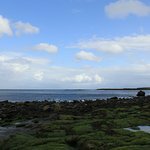 Your tour includes two nights at a guesthouse or 3-star hotel (your choice on booking), plus transport, two breakfasts, the train ride, and Dunvegan Castle admission. All other meals and activities are at your own expense. Wonderful tour with Yvonne as a great guide! Get quick answers from 3-Day Isle of Skye and Scottish Highlands Tour from Edinburgh, Including "Hogwarts Express" Ride staff and past visitors. Did the tour company book your airbnb for you ? Our tour price included a B & B accommodation for 2 nights. The tour company booked everything. I believe they also have the same tour without B&B where you have to arrange your own accommodation. Hope this answers your question.